"If we are lending money that ostensibly we don't have to kids who have no hope of making it back in order to train them for jobs that clearly don't exist, I might suggest that we've gone around the bend a little bit." 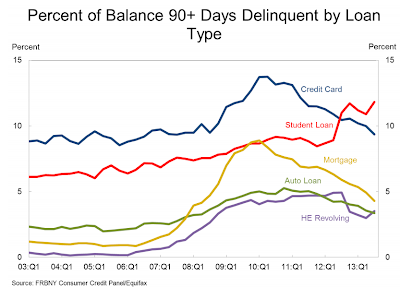 Student loan debt, which is over $1 trillion in size, has recently surpassed credit cards as the most troubled debt category in America. 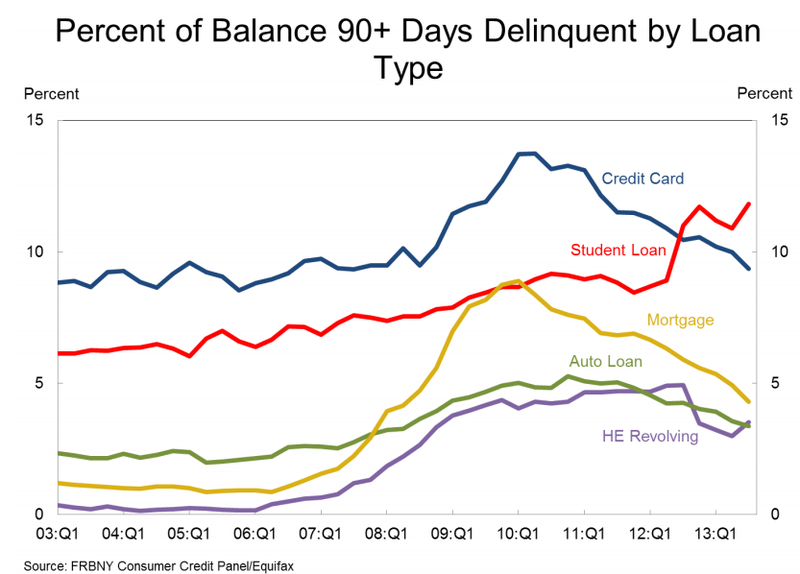 The number of student loans over 90 days delinquent has risen to 11.8%. 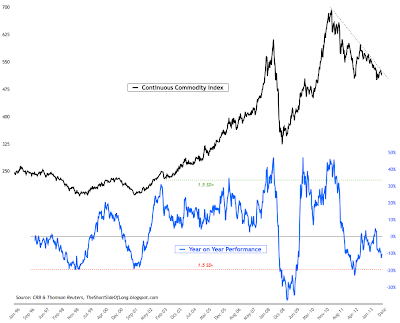 The following chart from the Short Side Of Long shows the performance of the commodity index since the secular bull market began in 2000. 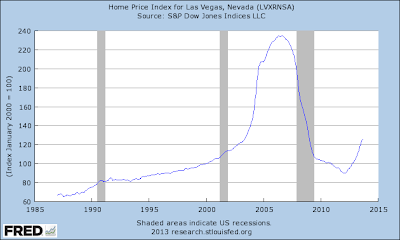 After reaching a peak and falling during the 2008 crisis, the index reached a new all time high in 2011. 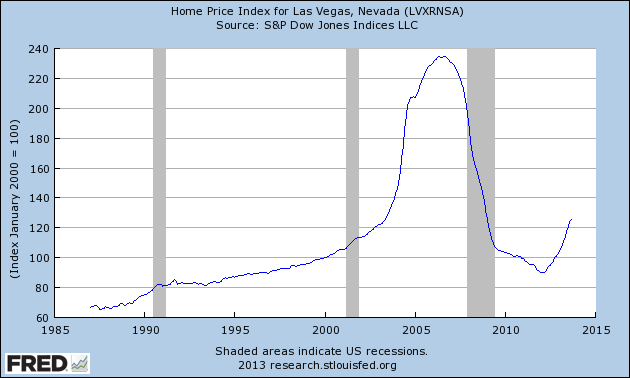 It has since experienced a relentless fall downward. Most now believe that the secular bull market in commodities that began in 2000 ended in 2011. The following shows the performance of individual commodities within the index. 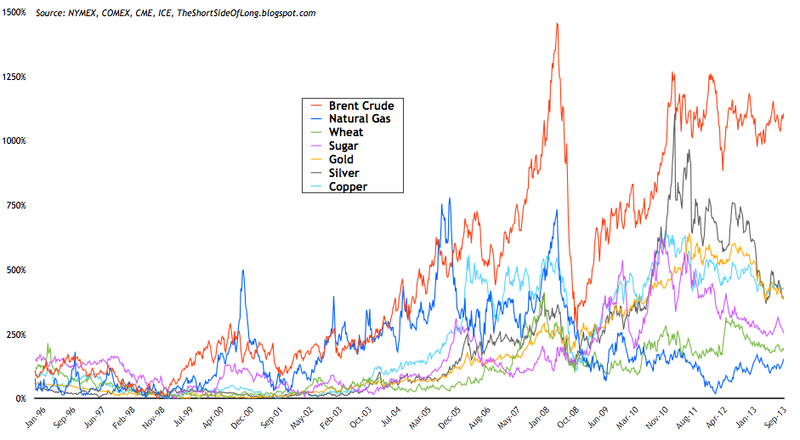 The price of oil (red) has held up the best, while most other commodities have taken a beating since 2011. 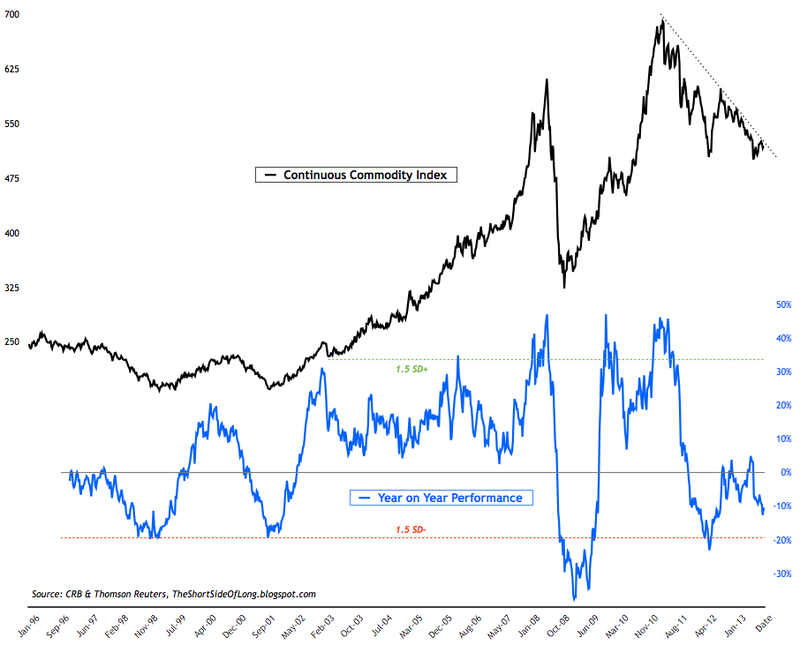 Since mid 2012 the commodities charts have been an almost mirror image of U.S. stocks. As stocks rise relentlessly day after day, commodities have continued to fall. This makes investors far more excited about the future potential for stocks and makes them hate and sell out of commodities positions. The daily sentiment readings toward U.S. stocks have reached over 90% bullish during the past few weeks and months while the daily sentiment index on silver hit 9% on two consecutive days last week (91% percent of investors believe that silver will move lower from here). After selling out of all their long positions, hedge funds have now piled on short positions for the worst performing commodities. This is the exact opposite of what is occurring in the U.S. stock market where there is now the greatest leveraged long position in history. I believe that we entered a secular bull market for commodities in the year 2000 which has not ended. I believe this is a cyclical bear market cycle within the larger bull market trend. Supply/demand data combined with record low sentiment and a steady supply of printed currency around the world (chasing a stable or falling supply of commodities) paints an incredible picture for the future. I believe we entered a secular bear market for stocks in the year 2000 and the rally since 2009 has been a cyclical bull market cycle within the larger bear market trend. At the end of cyclical rallies there are no believers remaining that stocks could possibly fall or commodities could ever rise again. That is close to where we are today. 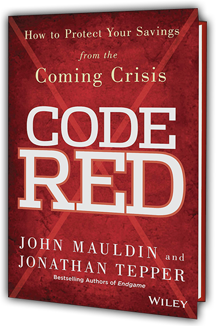 Opportunities like this rarely present themselves during secular bull and bear markets.